October 10, 2018, Columbus, GA: Realtree and Frogg Toggs announce the signing of an agreement to strengthen the partnership between their two brands, as well as enhance their presence in the market place. Details of the partnership include cooperation through product design, fabric development, marketing support and sales. Both Realtree and Frogg Toggs will support each other’s efforts in this regard to ensure customers and consumers have the best experience and success possible. Beginning fall 2018, Frogg Toggs will launch products in new Realtree Timber, Realtree EDGE and Realtree Fishing. Numerous categories including clothing, rainwear, waders, boots and bags will be included in this Realtree/Frogg Toggs partnership. 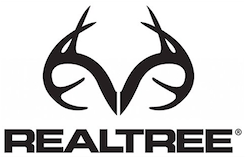 Realtree is the world’s leading camouflage designer, marketer, and licensor with over 2,000 licensees utilizing the Realtree camouflage brand. Thousands of outdoor and lifestyle products are available in Realtree camouflage patterns. In addition, Realtree is committed to supporting individuals and groups that work to ensure our outdoor heritage, the conservation of natural places, and the wildlife that resides there. Find Realtree on Facebook, Instagram, Twitter and at Realtree.com.